How long have you open? The shop has been open for 7 1/2 years. 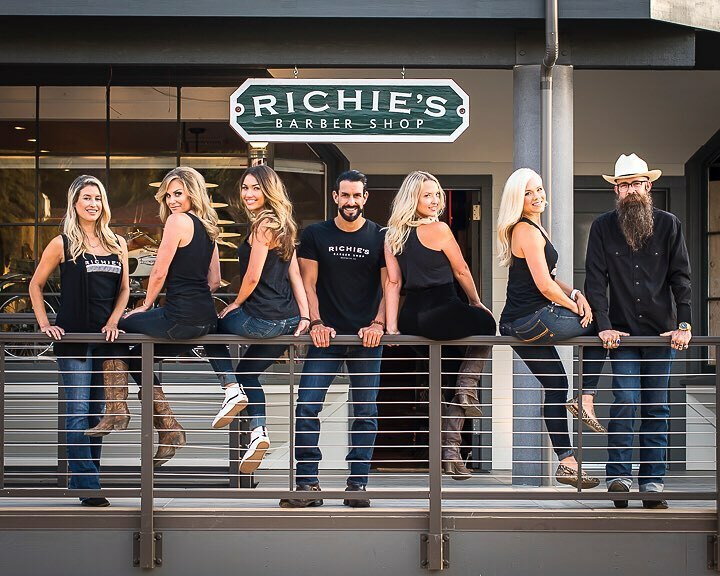 How did Richie’s come to be, what was your initial reason for opening Richie’s Barber Shop? The whole thing was that I wanted my own business, and where I was cutting at before I felt like it wasn’t….I wanted to do something bigger. I felt like where I was at was kind of stagnant. I felt like the people there were never going to grow. So, in order for me to build Richie’s Barber Shop I had to go off on my own and start it. There was a level of service you wanted to provide your customers that you felt wasn’t at the previous barber shops you have worked at, which leads me to my next question, what sets Richie’s apart from other barber shops? That’s great! Have you always been at this location on Coast Village Road? What do you love most about owning this business? I like the sense of community. You make so many friends, and coming into work every day it’s not like coming to work. You get to hang out, I am watching sports on the TV, cutting my buddies hair, I have got a great team. I built this for that reason. I can come to work every day and be happy, and the other people enjoy it so it’s very rewarding. Every day it’s like I am hosting a super bowl party. I know you are really involved in the community, so tell us more about some organizations or things you are involved in that you enjoy giving back to. We get involved in a little bit of everything. From Toys for Tots to the Teddy Bear Foundation, and we do as much as we can. One of the girls who works from me coordinates that stuff for us. So I also know you recently received the Young Professional of the Year Award, how was that? I wasn’t expecting it. There was a lot of stiff competition, I figured there was no way I would win so when I received it I was really excited. I want to use it as a platform for small businesses. Well it’s well deserved, you are more than barber shop it sounds like. Richie’s is more than just a barbershop, it’s a brand. How long have you been involved in young professionals? What was it like for you as a small business during the recent natural disasters? It was rough, it was a hard spot. But we did have so many people who came to help us like our clients and we opened a pop-up shop so we were still able to take care of our clients. We have so many faithful and loyal clients that they made that time way easier. That’s fantastic, where was your pop-up shop? 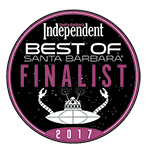 We did one at Jamie Slone Wines on Anacapa, it was a perfect location, we were there for a week and were able to tend to a lot of our clients.